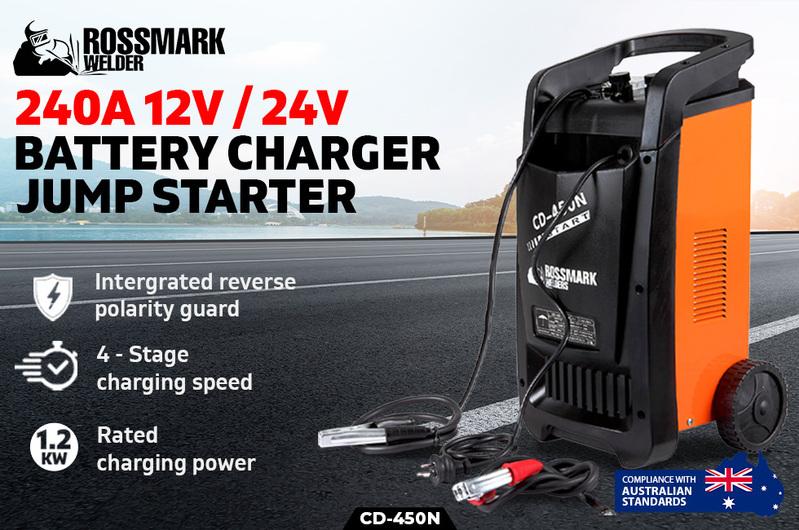 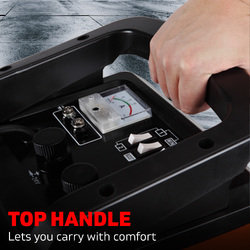 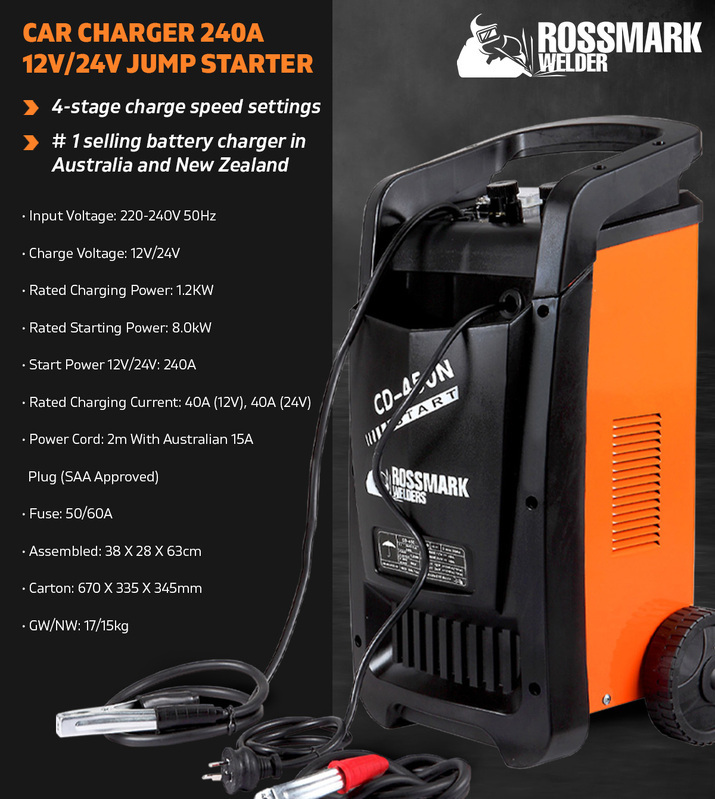 The all New Rossmark Single Phase Battery Charger CD 450N is right here. 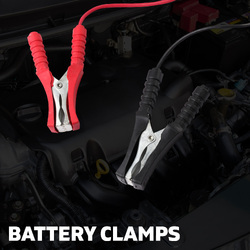 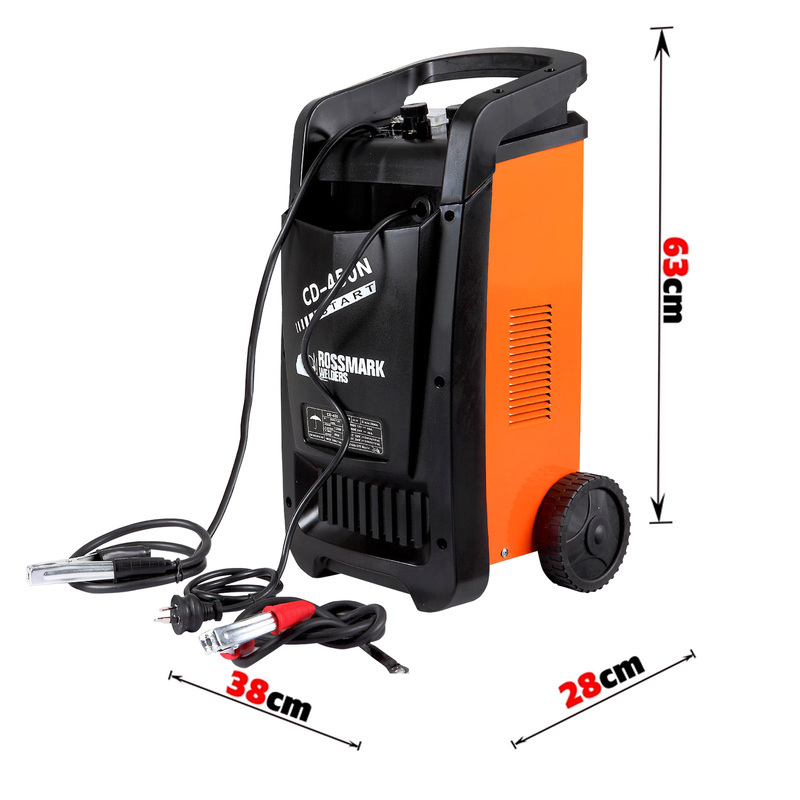 This is a very essential tool that garages, commercial workshops and handyman should own. 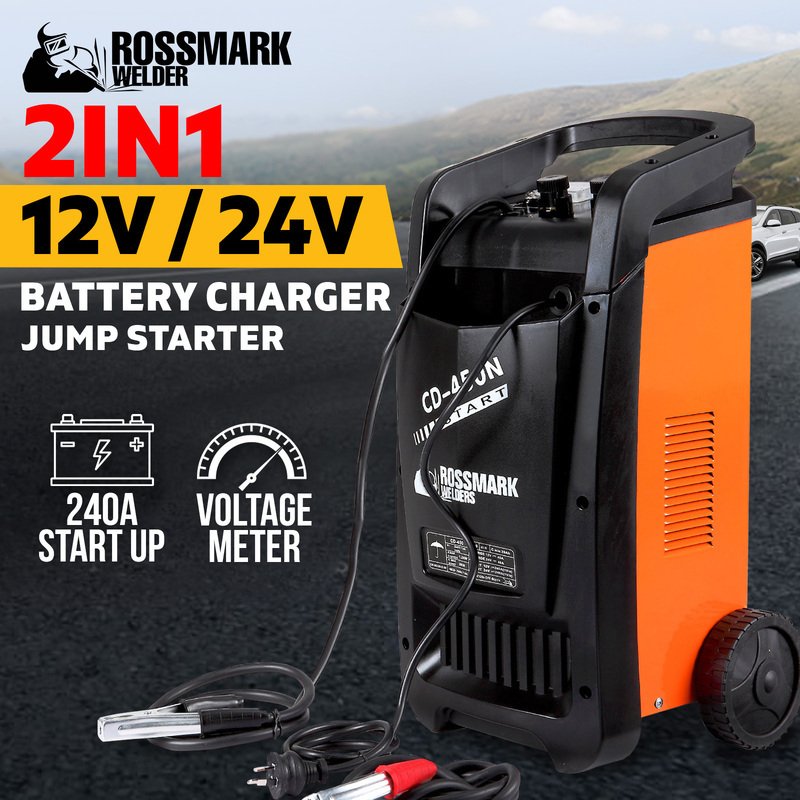 This New Rossmark CD 450N delivers an amazing start power of 240A, which is adequate to instantly start your car, tractor, boat or truck within just seconds. 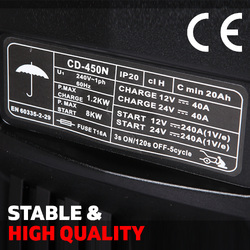 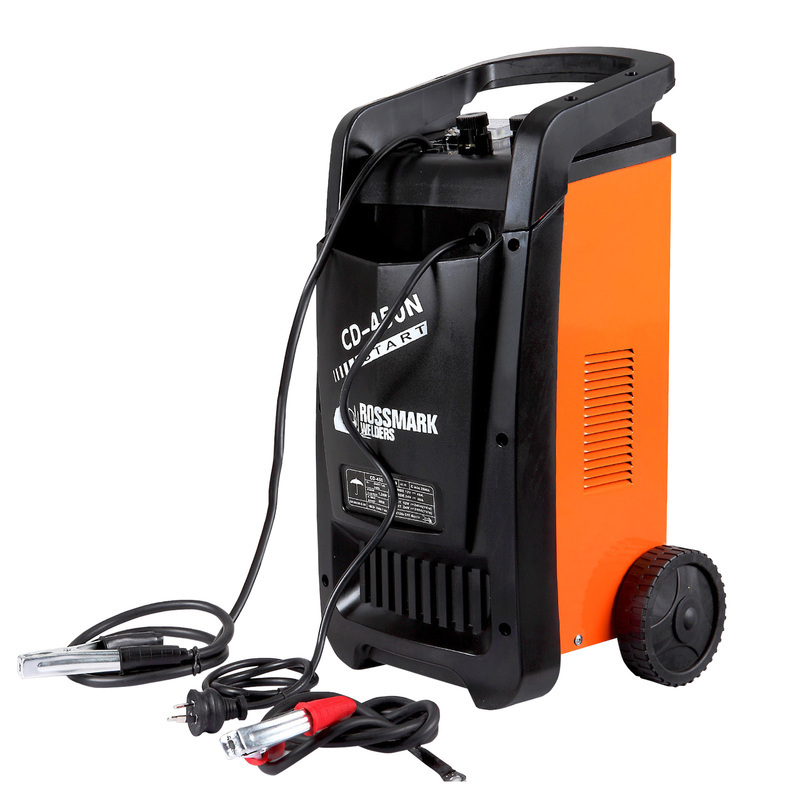 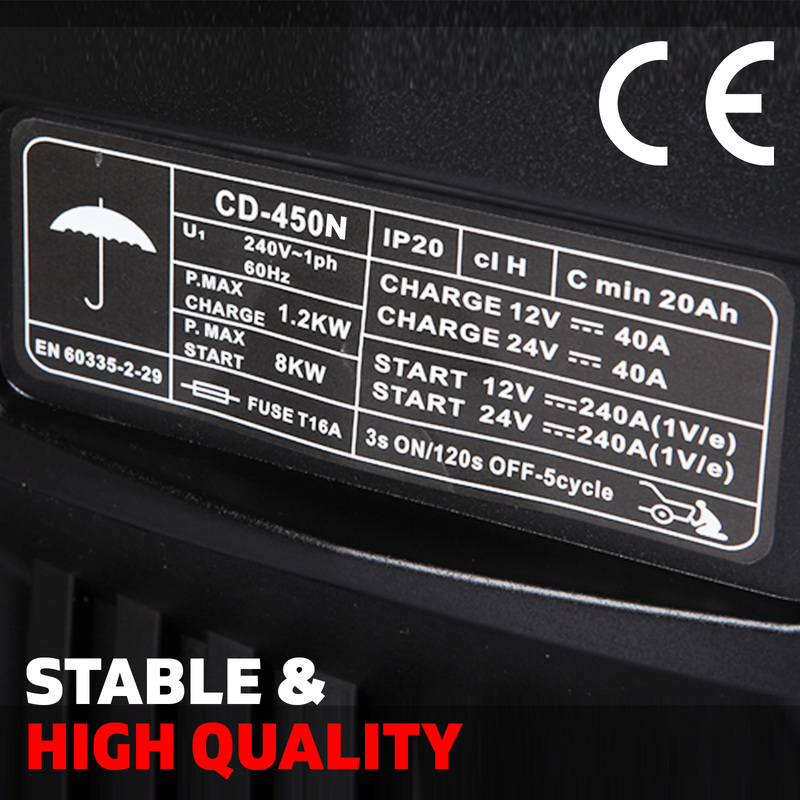 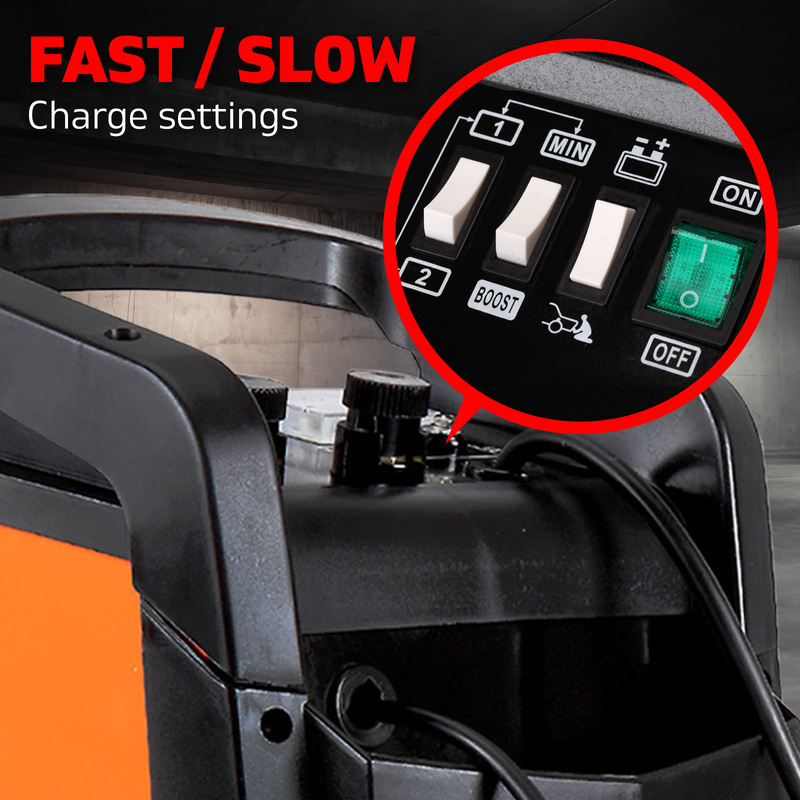 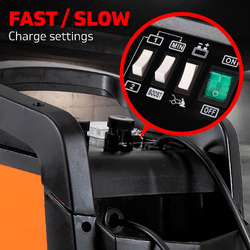 The New Rossmark Single Phase Battery Charger CD 450N is fully loaded with stunning features. 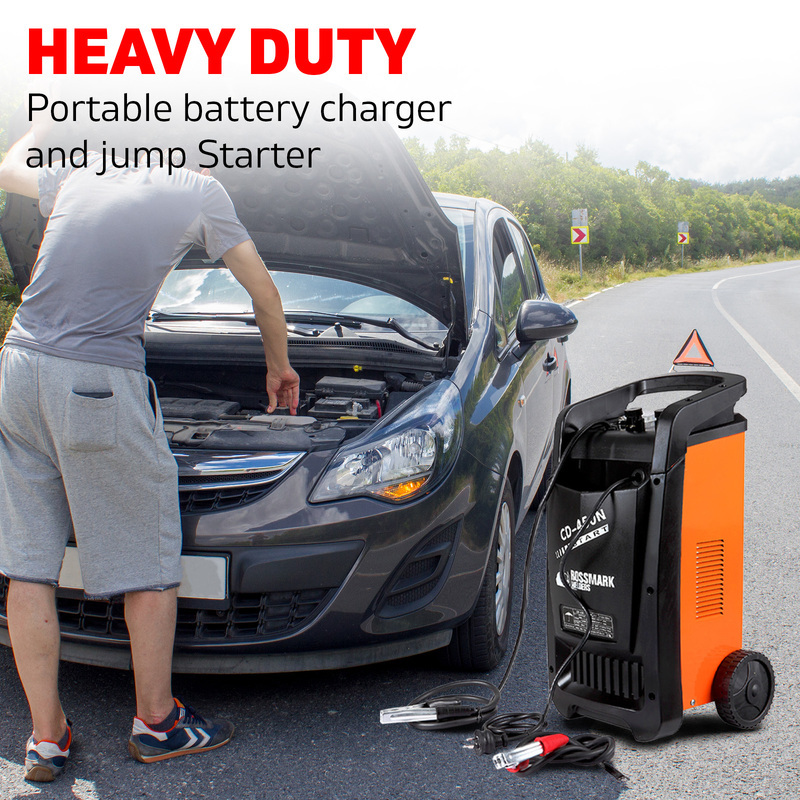 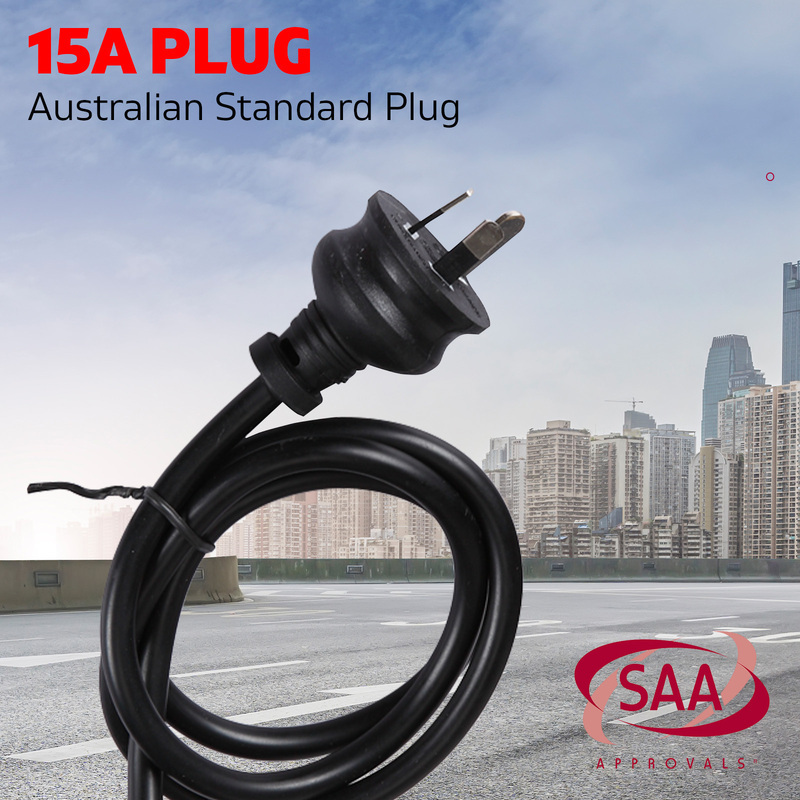 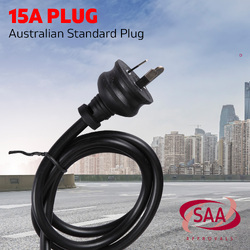 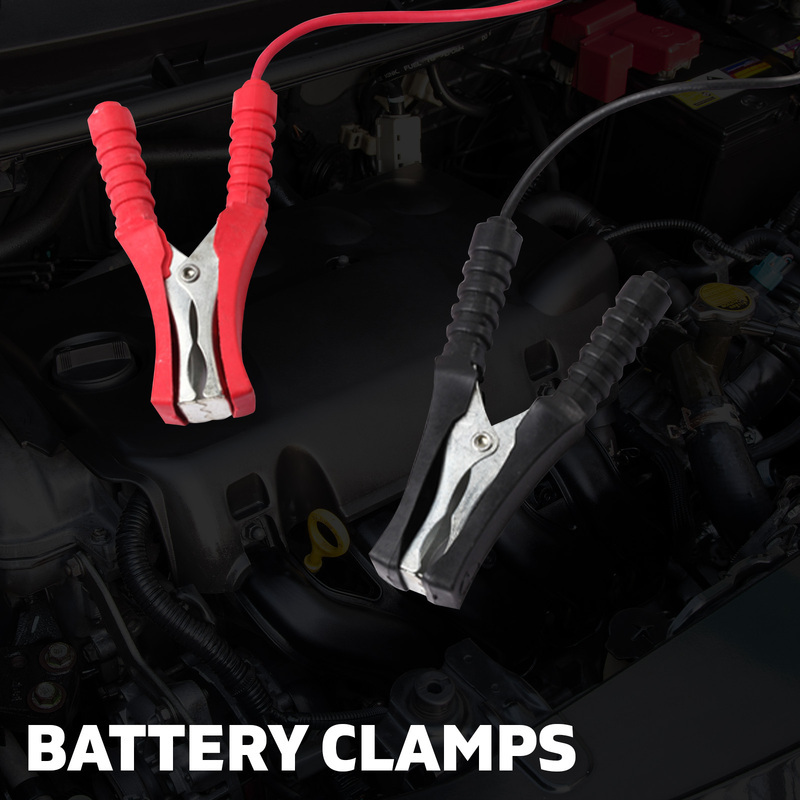 It is perfect for battery upkeep and charging, with 12V capacity (30A constant charge) and 24V capacity (40A constant charge). 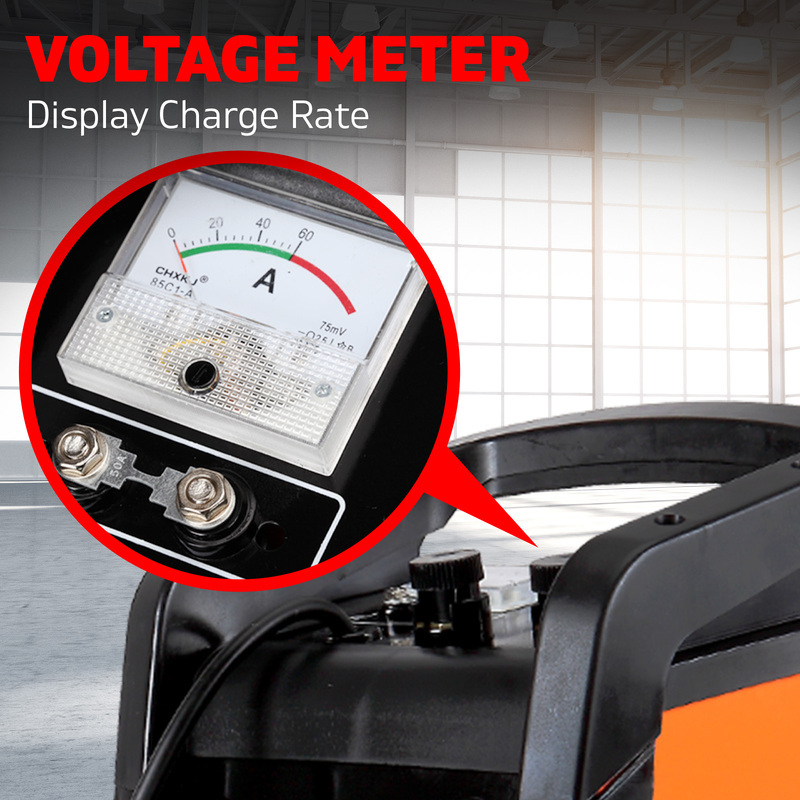 This is fitting for GEL and lead-acid batteries, the new Rossmark CD 450N also boasts of an Ammeter to indicate the charge speed and charging status of your battery. 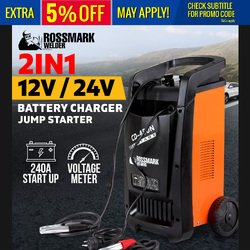 This new Rossmark CD 450N offers superior charging technology with matchless consistency and performance with integrated reverse polarity guard, overload defence, as well as 4-stage charge speed settings. 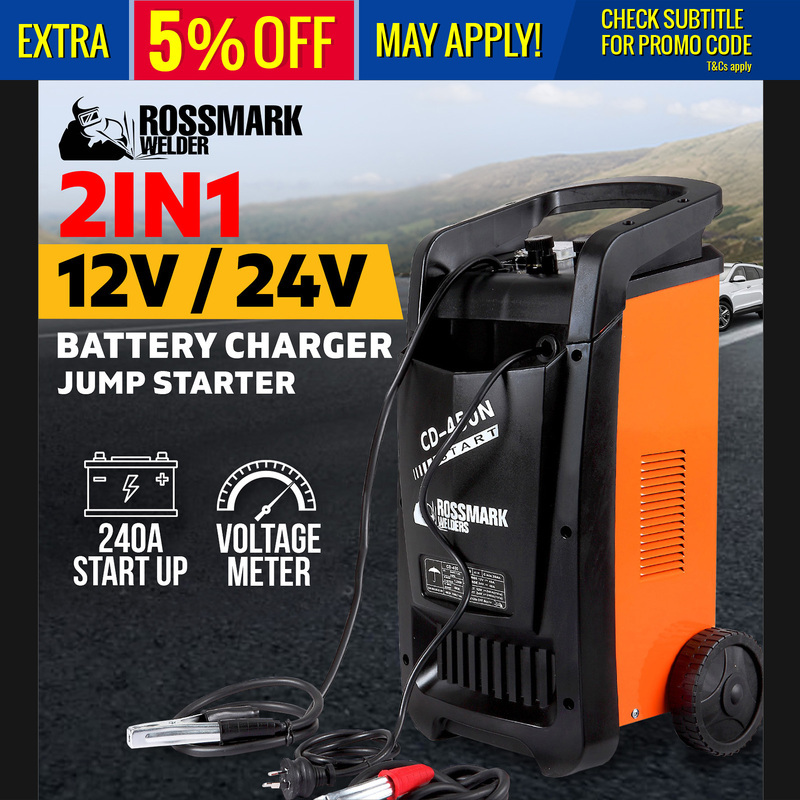 What’s more, the New Rossmark Single Phase Battery Charger CD 450N is strongly supported with 1 Full Year Warranty that gives you peace of mind. 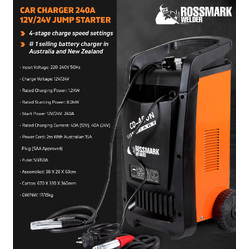 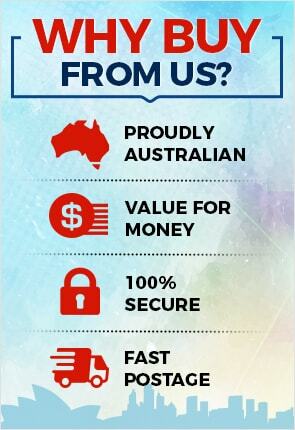 Undoubtedly, this new Rossmark CD 450N Battery Charger is all set to become the #1 selling battery charger in Australia and New Zealand. 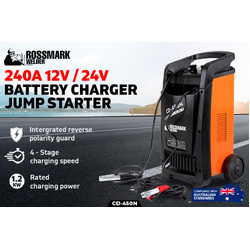 Get this new intelligent battery charger Rossmark CD 450N right away and keep your battery performing at its optimal level that surely guarantees dependability and the finest performance.